UV cured bathtub refinishing process is exactly the same in procedure only we Ultra violet light to cure the product instantly and with Zero volatile organic compounds making it extremely green. 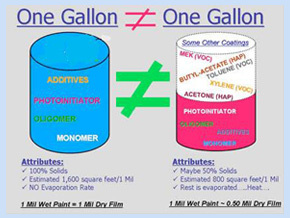 After UV coating is applied to the surface, the film will remain wet until it is exposed to UV energy. The polymer chains that make up the coating remain short and unconnected until UV light is directed onto the paint film. 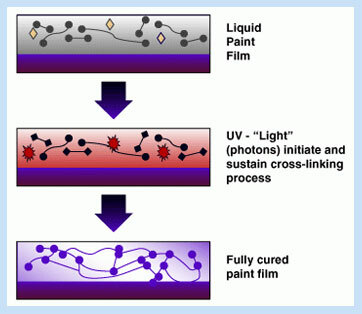 When UV light is focused onto the paint surface, chemicals known as photo initiators are activated, which start the cross-linking process in the paint film. In just a few minutes the polymer chains are linked together to form a very large network. This causes the paint to solidify and cure to surface that closely mimics porcelain or ceramic glaze in durability. The curing is instant within 2 to 4 seconds rather than 24 to 48 hour back in service times with conventional refinishing.The process is a bit more costly but is certainly to be authentic arizona cardinals jerseys embraced by income producing properties where down times can mean lost revenue or area such has hospitals and sensitive facilities where curing down time is not an option. 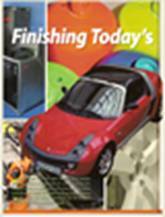 The PBRA has performed strenuous and long term beta testing for the leading manufacturer of UV products in America and Canada for specifically for the vertical bathtub refinishing market and industry. 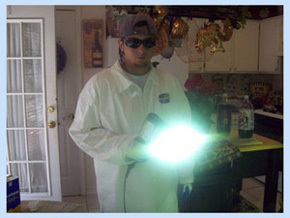 Our coatings were formulated and tested with our state of the art hand held lights that are truly unique since they do not require a refinisher to be tethered to 75 pound transformer. Our system was formulated from the ground up making us truly unique. Our process is somewhat similar to the process associated with exposing photographic film, or more graphically, the exposure and development of Polaroid® film, which was popular several years ago. Nothing happens to film until the film is exposed to light. When that happens, chemical reactions occur that change the film. In the case of Polaroid® film, the whole set of reactions, including exposure and developing, happened in a minute or two before your eyes, just like the UV PBRA refinishing system.